Easter Digital Paper, Scrapbooking Paper, Easter Eggs, Easter Bunny, Spring, Flower Pattern Printable Sheets Background - BUY 2 GET 1 FREE! Easter Digital Paper, Easter Printable Sheets, Easter Eggs, Easter Bunny, Spring, Flower Pattern Happy Easter Background - BUY 2 GET 1 FREE! 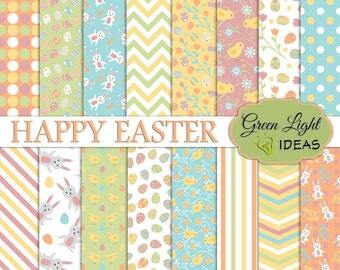 Easter Wood digital paper. Easter Wood Backgrounds. Easter Scrapbook paper. Easter bunny, rabbit, chick, egg, eggs pattern, floral spring. Lavender Digital Paper, Pastel Digital Paper for Easter and Mothers Day Paper Crafts, Digital Scrapbook Paper, Paper Art & Background Paper.